For people who care about healthy eating and drinking, fresh and organic have become the twin watchwords. It is for them that Magimix has designed this 2-in-1 appliance. If you would like to have an endless supply of delicious fruit and vegetable cocktails and find enough energy to get through each busy day just team up with Le Duo. 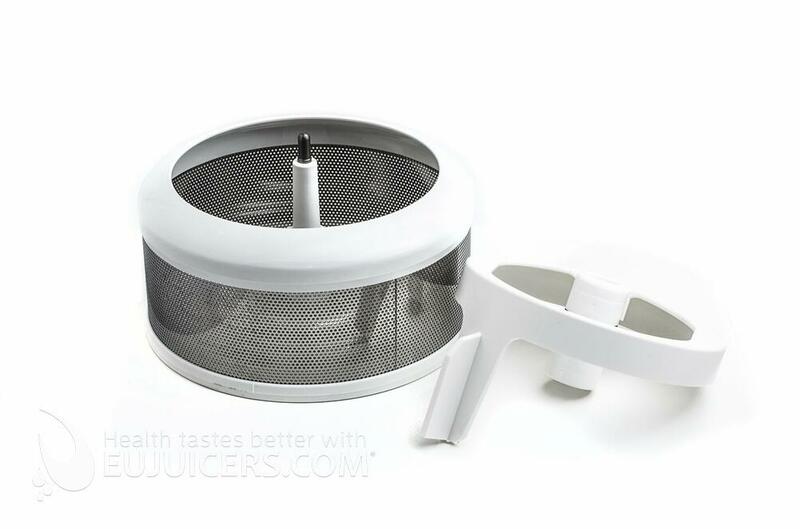 Both the citrus press and the juicer fit directly onto the motor shaft. 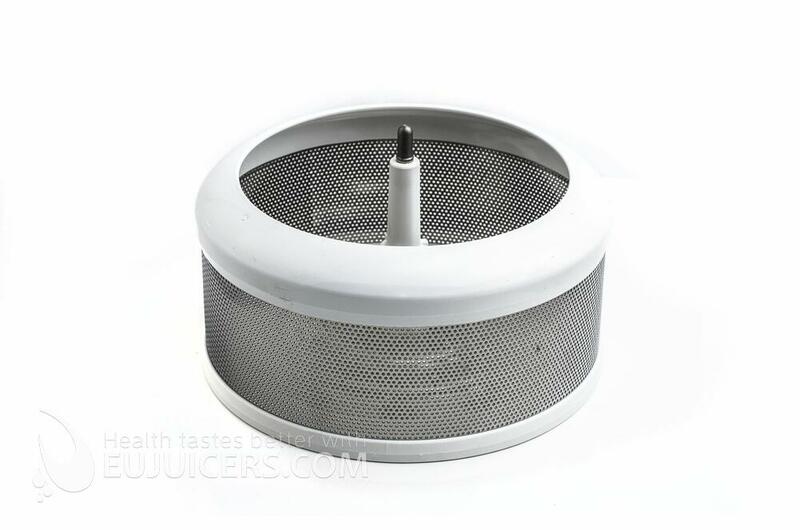 The stainless-steel basket has a cylindrical shape to ensure optimum juice extraction. The Magimix asynchronous motor has a 12-year warranty. The appliance and its accessories are guaranteed for 3 years. Simple to use and to clean, Le Duo has a metal spout which pours the juice directly into your glass. 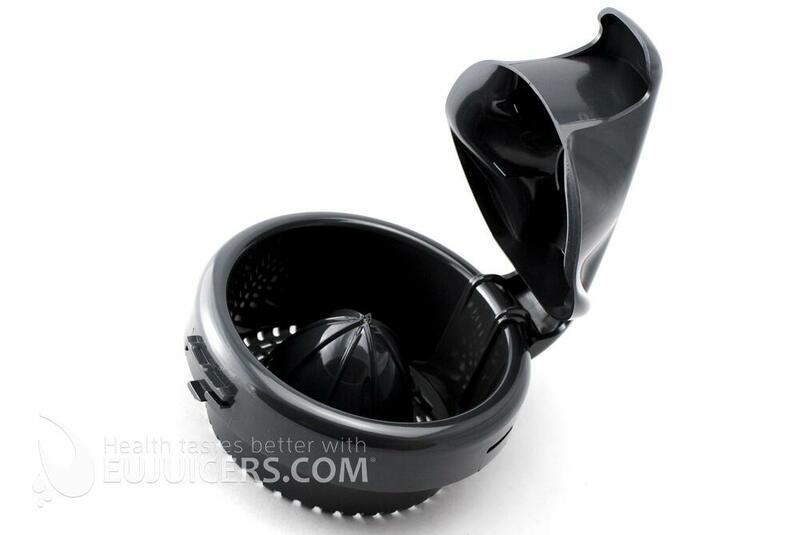 The lever arm of the citrus press holds the fruit in place and prevents juice from squirting into your eyes. Magimix le duo PLUS XL (white, black and chrome) are the only universal centrifugal juicer which are able to process small soft fruits (such as berries) and also has a unique coulis attachment which allows you to prepare tasty smoothies. With the added citrus attachements you can prepare real citrus fruit fresh juice without peeling the oranges. Delivered with two different sized cones, you are able to juice lemons, small limes and grapefruits. The pulp is collected internally which means you have to empty the juicer after every 2 to 3 glasses of juice but this is a quick and painless operation and only takes about 30 seconds. Magimix juicers are high quality and long lasting machines which will serve you for years. With its simple stylish design, clean lines,and a variety of colours, it is guaranteed to fit perfectly into any kitchen. 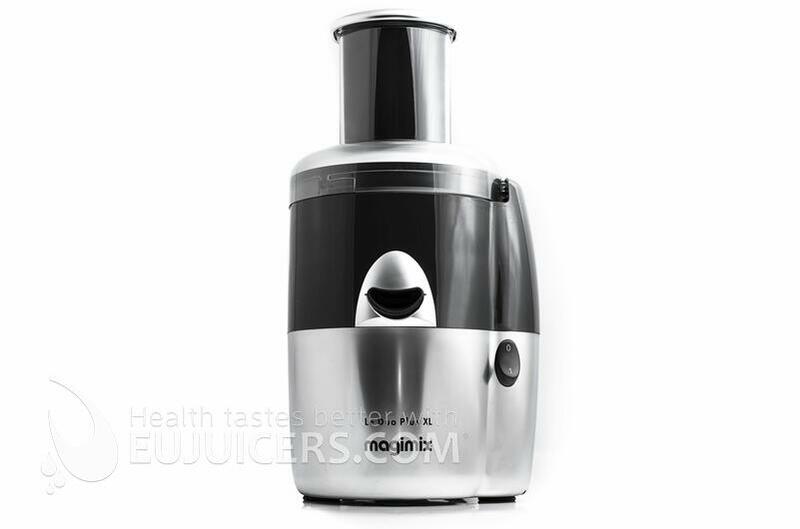 High-quality centrifugal juicer for home use.